Could this be one of the last few new Vista laptops before Windows 7 launches? Sony is trying to bring Blu-ray within everyone's budget, with the release of an entry-level line of laptops including BD technology. 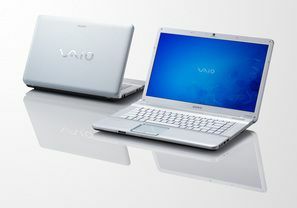 The Vaio NW range have 15.5-inch screens, Core 2 Duo processors and will retail in the US from $800 (£485). Media playback is a big focus of the new notebooks, with Sony using its XBrite-Eco LCD displays and an HDMI output for High Def playback. The NW notebook has an isolated keyboard for more comfortable typing and a translucent, textured touchpad (not multi-touch). There's a display off button for saving power and a 'instant internet' knob for browsing without having to boot-up Windows (64-bit Visa Home Premium supplied). The laptop is powered by 2GHz Intel chip, 4GB of RAM, an optional half gig graphics cards and a hefty 400GB hard drive. The Vaio NW will be on sale shortly in the US with a starting price of $800 (£485), or packing Blu-ray for an extra $85 (£50).